Darts fans have an early Christmas present with the PDC World Championships at London’s Alexandra Palace delivering plenty of punting scope. With little chance of an icy blast of weather stopping play, many are calling odds-on favourite Michael van Gerwen as much of a banker as cranberry sauce with turkey. However, with this year's contest featuring 72 players fighting it out for a share of £1,800,000 in prize money, including a record £400,000 for the champion, there's potential value lurking in the pack. Read on for quality betting tips from experts familiar with tournament markets worth targeting. There was never much doubt that PDC number one Michael van Gerwen would be a short-priced favourite for this year's World Darts Championship. The only real question was 'how short' and whether there’d be any value in the price – which is sitting at around 8/11 with most online bookmakers. On the face of it, the 28-year-old's form coming into the tournament is impeccable, having won the past four major PDC events, including the Players Championship title in Minehead for a third year in a row. His PDC pedigree is also proven, having been a beaten finalist against the mighty Phil ‘The Power’ Taylor in 2013, before becoming the youngest ever champion the following year. Despite not making the final in 2015 and 2016, he reigned again in 2017 when defeating 2015 champion, Gary Anderson. While his Championship form hasn't been completely rock solid (having not made two finals), it's easy to forgive a player who even now is a relative youngster by dart's standards. Add the Dutchman's current string of winning matches to the mix and it's clear to see why the odd of 8/11 on offer with William Hill makes a tempting Christmas banker bet. Even if you're not an odds-on backer, Mighty Mike makes a solid selection for multi-sport accumulator bets over the festive period. Phil Taylor is a legend; he's many experts' idea of the finest darts player the game's ever seen. Having appeared in 24 Championships, winning 14 and taking second place on four occasions, the record breaker is calling time on his professional career at 57. Having won his first title in 1995, Taylor's last victory came in 2013, followed by a losing appearance in the 2015 final. The man's pedigree is unquestionable. But the dilemma for darts bettors is whether his odds of 12/1 are value for each-way backers – can the old man of the party really turn back the clock? There are certainly some suggestions that he can, having displayed some glimmers of his best during 2017, including playing Van Gerwen six times and coming away with three victories. They include a dominant 16-6 win in the quarter final of the World Matchplay tournament in Blackpool. Psychology can also be a factor in the big tournaments, and Taylor has a lot to play for – both in the shape of prize money and his relationship with the younger pros on the circuit. On the money front, Taylor received £12,000 for his first title in 1995. It wasn't until 2005 that victory rewarded him with an elite sum of money – £200,000. Since then, the prize money has kept on rising, steadily increasing from £250,000 to £350,000 – with £400,000 for this year's winner. Added to the mix are the rumours of animosity between Taylor and some players on the circuit, including derisory comments from Van Gerwen about Taylor's personality and it being well past his retirement date. In short, punters are guaranteed to see a fired-up Phil Taylor who’s well worth an each-way darts bet at 12/1. With Phil Taylor on the opposite side of the draw to Michael van Gerwen, the pair clashing in the final would be a fitting and dramatic ending to the championship and offer Taylor the chance to go out with a fairy-tale finish. Equally, it would be a chance for Van Gerwen to end Taylor's career without glory. 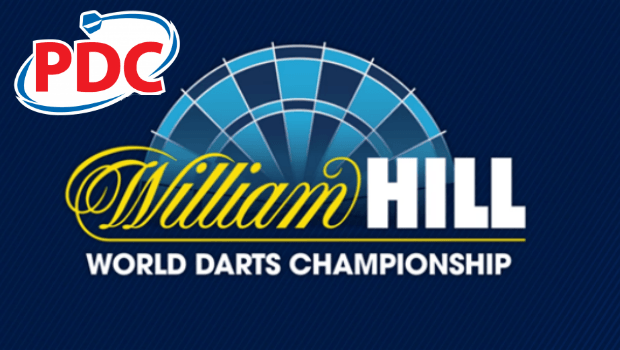 Backable at 5/1 with William Hill, a fired-up and on-form Taylor is capable of making it to the final – with Van Gerwen likely to be there waiting if he does. With 72 players ready to take to the oche over the festive period at Ally Pally and big money on the board, aiming for the Sid Waddell trophy is more attractive than ever. Bet on Michael van Gerwen and Phil Taylor to be in the thick of the action come New Year's Day, available at 8/11 and 12/1 respectively with William Hill. For those looking to capitalise on some of this advice and wager this year's Championship, join William Hill today and start browsing their latest odds!